A view of the Paul Tamburrini side of the Macdonald Hotels tram 262. This restaurant is at the Macdonald Holyrood Hotel in Edinburgh , almost next to the Scottish Parliament. 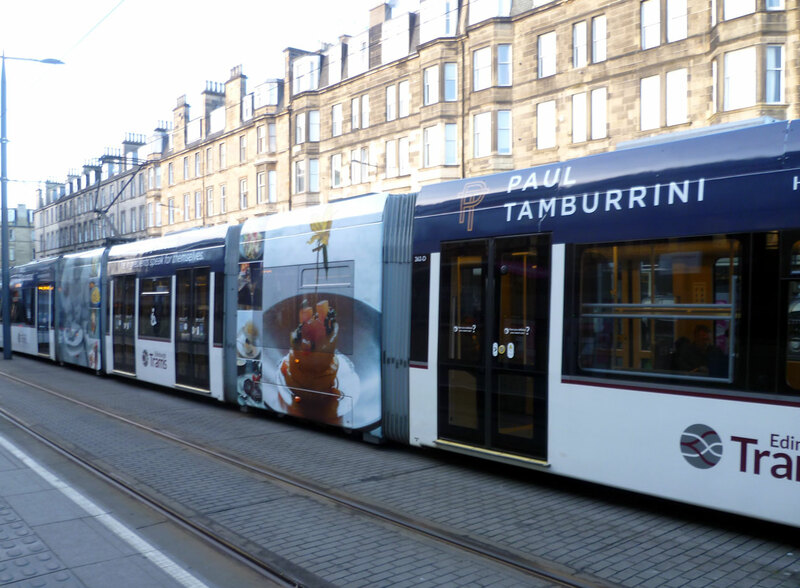 The tram is pictured at Haymarket and is citybound.